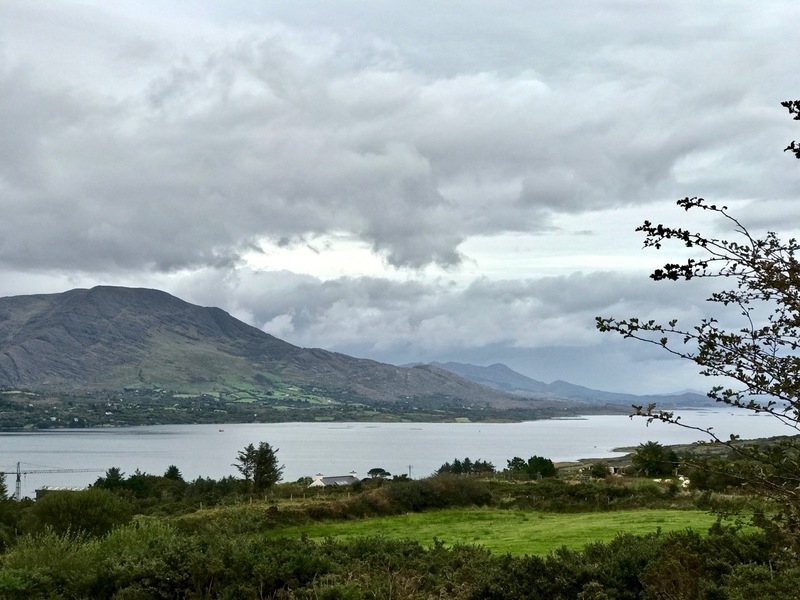 As part of the excellent Taste of West Cork food festival, we signed up for the Bere Island Cultural Taste Tour, and on a grey Saturday morning we drove off along the south side of the Beara Peninsula to Castletownbere. 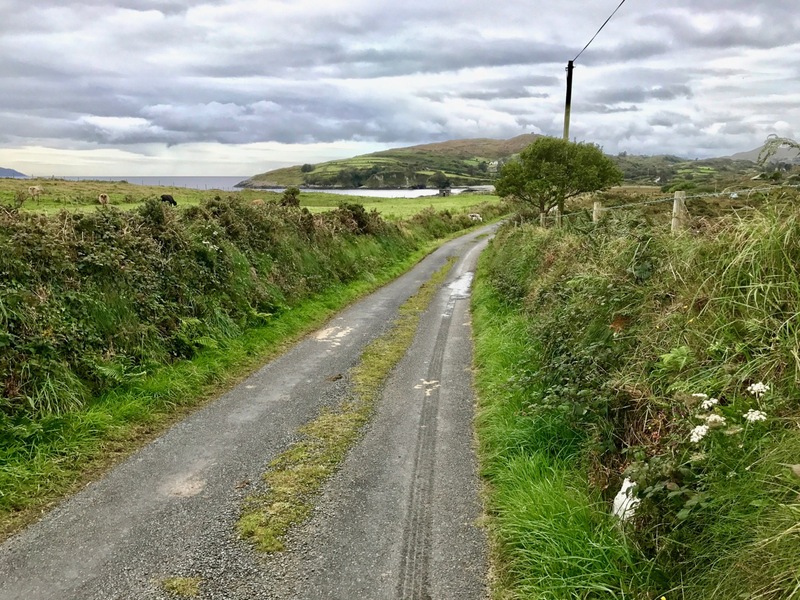 The Islands of West Cork are all fascinating to explore, in our experience, and each one is very different. 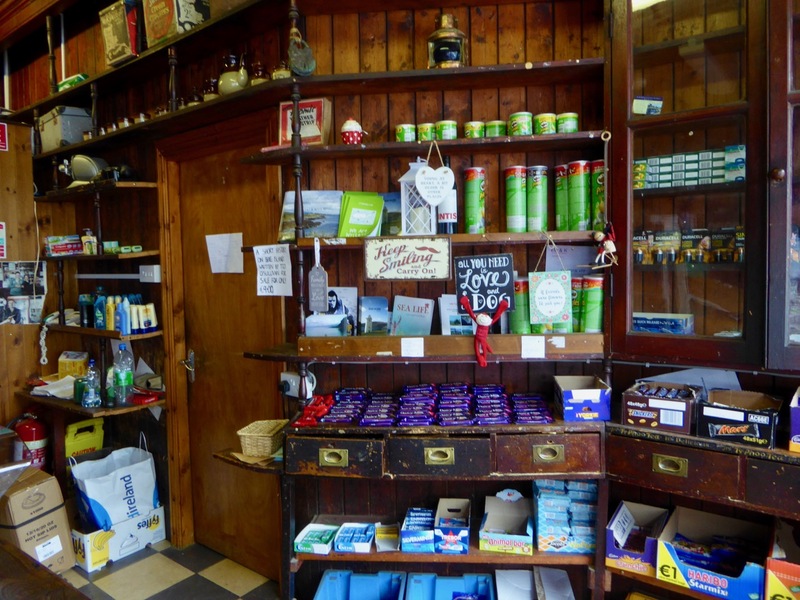 This was my first visit to Bere Island, and I immediately want to go back there: this was, of necessity, a ‘whistlestop tour’, ably led by Ted O’Sullivan, probably a direct descendant of the famed O’Sullivan Bere (who deserves – and will get – a post of his own!) 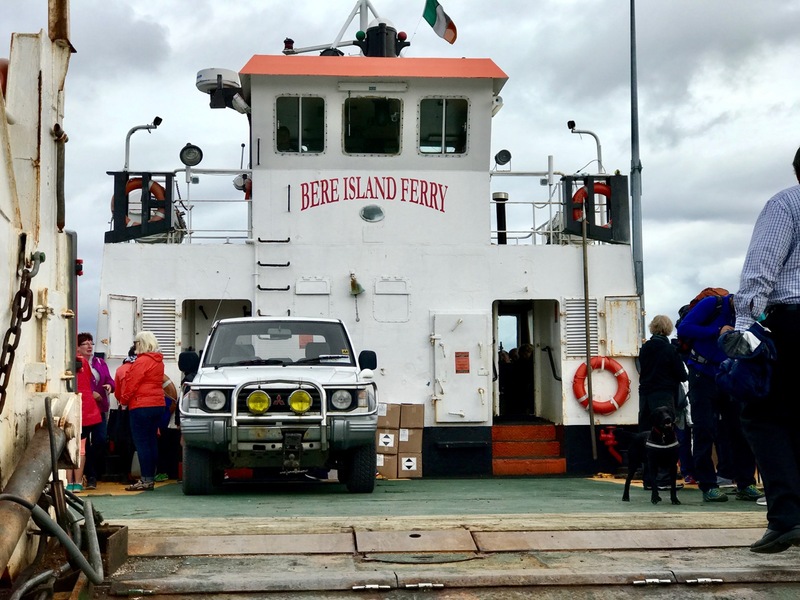 You may remember that the island – and the peninsula – has taken its name from the Spanish wife of Owen Mór, King of Ireland around 120AD. 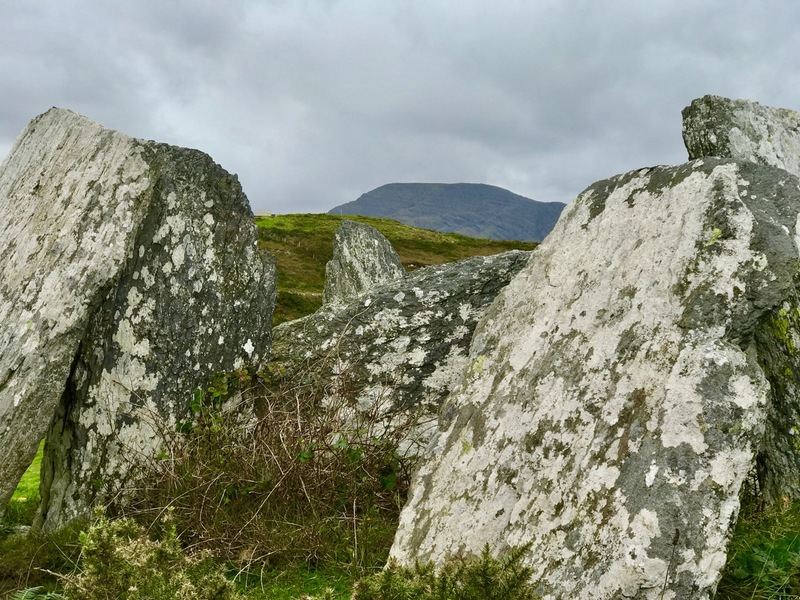 While the history of the island takes us back to the Bronze Age and beyond, more recent events have been left behind on the landscape – and in the memories of the islanders. 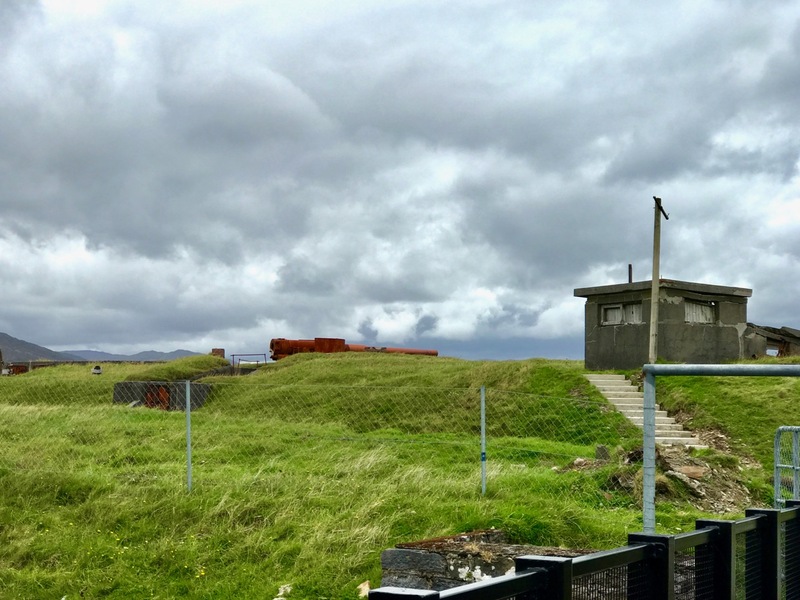 Until the handover in 1938 the eastern end of the island lay beyond ‘The Red Line’. The position of this line was pointed out to us on the tour, although we couldn’t see a ‘line’. In fact, no physical line did ever exist but there was a point beyond which Irish people could not proceed, and British forces stationed over the ‘line’ could not cross. Ted, our tour guide, recounted some amusing stories of those strange times. With typical Irish inventiveness, there were many instances of how the difficulties created by the ‘line’ were overcome. For a short while there was a prison on the British sector, right beside the ‘line’. It was used to incarcerate mainly political prisoners. Every weekend there would be a party held on the Irish side of the line which always included singing, dancing and drinking, and the prisoners joined in! Many politically important prisoners managed to escape, and the prison was known as a ‘leaky bucket’ because of this. A number of the British governors of the prison were removed during its short life because of their inability to contain their charges. 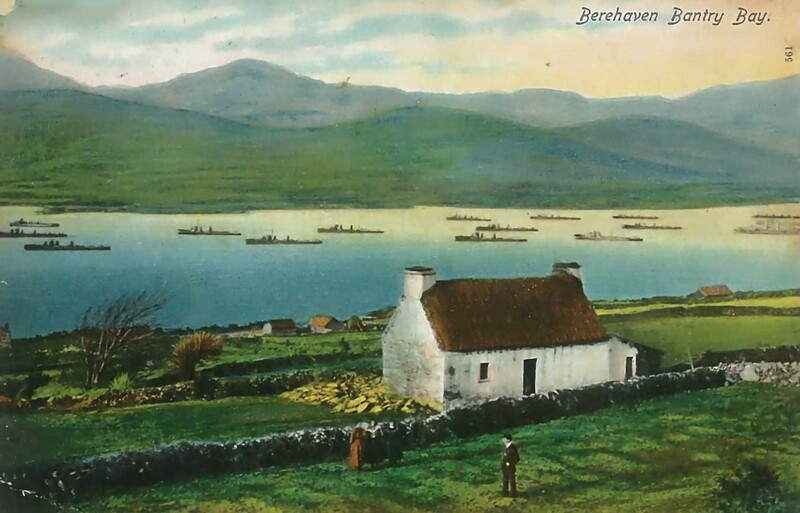 Lonehort is a natural harbour, believed to have been used by the Vikings. Archaeological excavations were carried out there in 1995 and confirmed the artificial breakwater as being Norse: there were also signs of a Viking shipyard here. 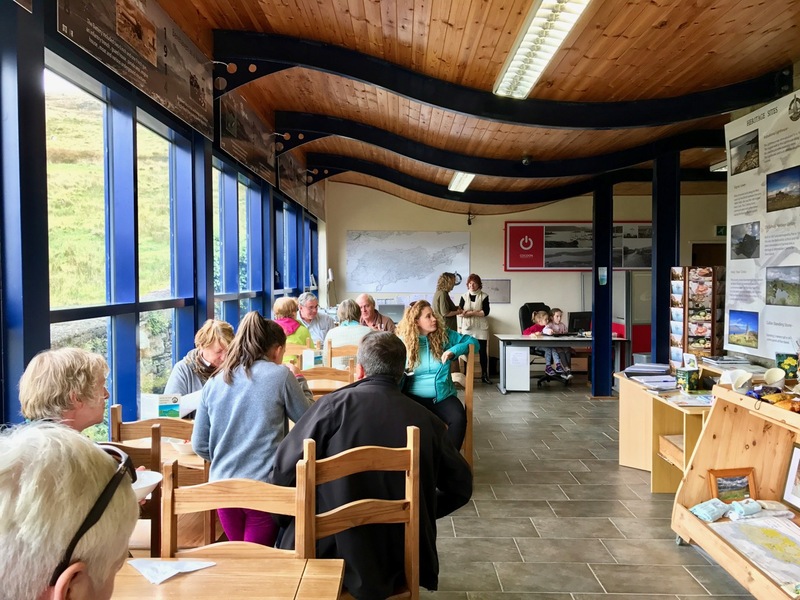 One of the purposes of our tour was to introduce us to food produced on the island, and we ate in three establishments: The Shop and Cafe in Rerrin for soup, The Hotel for a fishcake lunch, and the Heritage Centre for a dessert and coffee. All provided good, delicious fare. All too soon our short tour came to an end: we had to get back to catch the ferry. 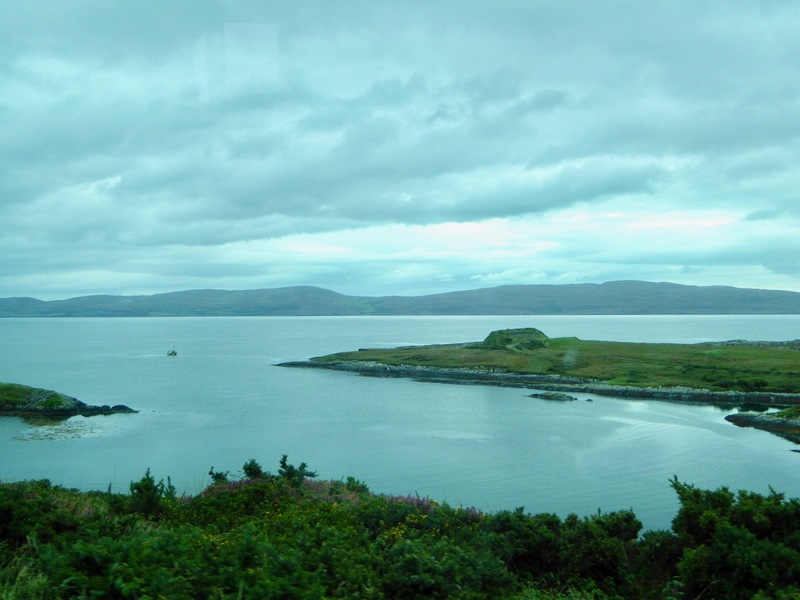 We missed several things: St Michael’s Holy Well and Church; views from Knockanallig (the highest point) and several standing stones including Gallán, which is exactly in the centre of the island. And it’s a great place for walking! We will return, perhaps for a few days in the winter, and complete our explorations. 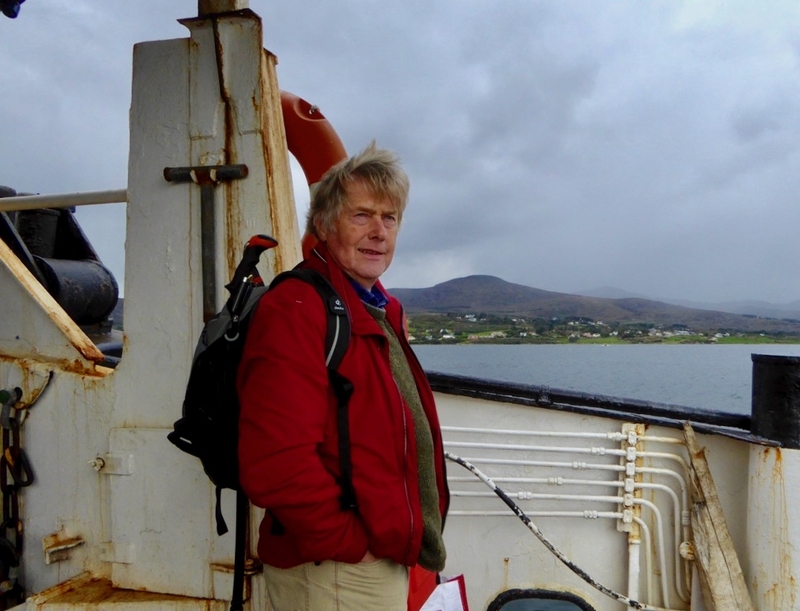 But many thanks to Ted and the Bere Island Projects Group for giving us such a comprehensive introduction to an intriguing community and its history. Robert heading home after a grand day out! This entry was posted in Archaeology, Beara Peninsula, Bere Island, Castletownbere, Castletownbere, Food, Irish History, Irish Landscape, West Cork, West Cork Blog and tagged A Taste of West Cork, Ardaragh Wedge Tomb, Beara Peninsula, Bere Island Heritage Centre, Bere Island Hotel, Bere Island Projects Group, Bere Island Red Line, Lonehort Battery, Lonehort Viking Harbour, Lough Swilly, Owen Mór, Rerrin Shop and Cafe, Spike Island, Ted O'Sullivan, The O'Sullivan Bere, Treaty Ports, Winston Churchill. Bookmark the permalink. 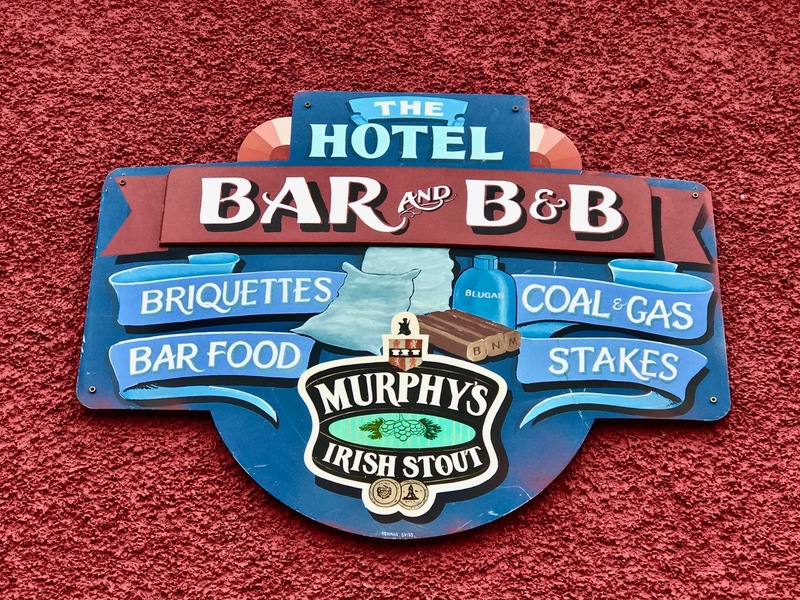 Sounds like an excellent taster – I love Bere. There’s also an incredible tomb on the roadside which deserves an explore. We just had a brief bus tour – so much more to see. But Ted the guide was an excellent mine of information on everything we did see and much that we didn’t. We think it would be go to go and stay in the Island Hotel for a perhaps two or three days in the winter: it opens all year round. Some wonderful and invigorating walks too, sounds an excellent plan. A nice example of WSC over-egging the pudding there. The postcard also over-eggs the colours in a way that I remember – all the postcards from the fifties and sixties (I’m not quite old enough to have seen the fleet in the bay) had those rather intense colours. I suppose it was something to do with the colour printing technology of the time. But they give the scenes a wistful elegiac tone: moments of green grandeur, soon to be gone for ever. You’re right, Michael – and I can just hear him saying those words. His voice must have filtered through to me from listening to the wireless when I was growing up! Good to know that our posts start off the week well! As a nativeborn Irishman living in Atlanta. 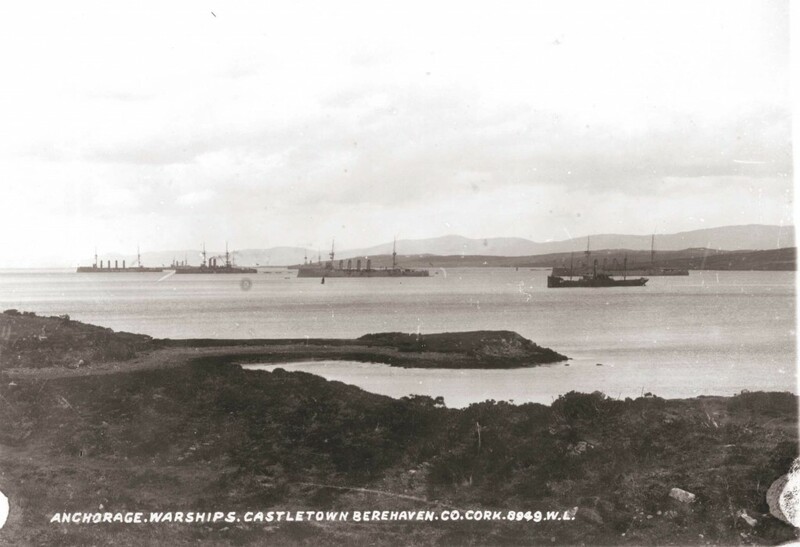 Bere Island is a great place to find history on the water, in one place. Great post btw. DH.